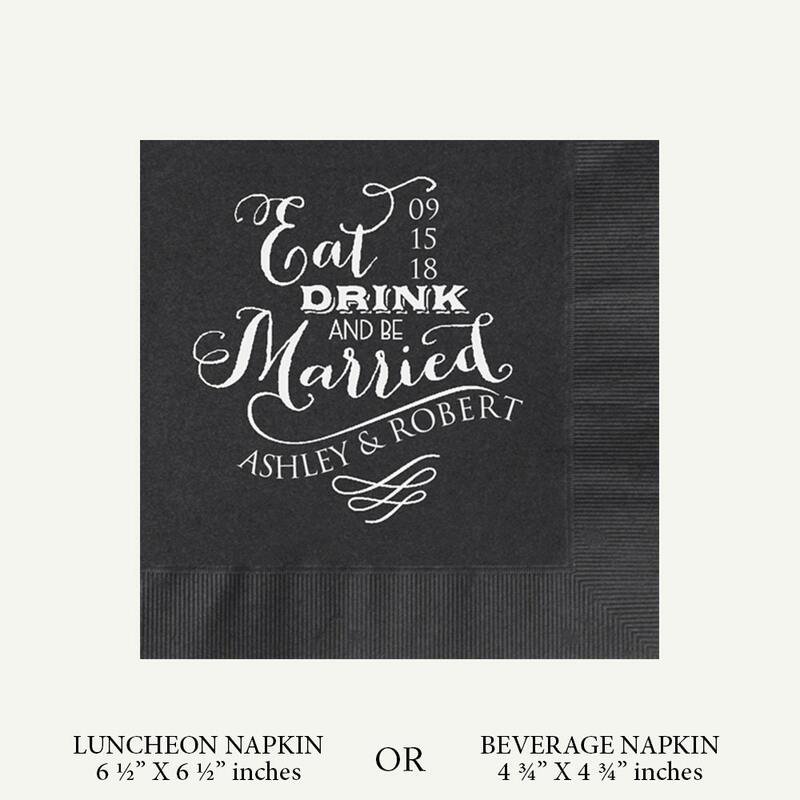 Personalized Beverage Napkins Eat Drink And Be Married | Black (3 Ply) Cocktail Napkins | Add Date And Names, More Colors Available. 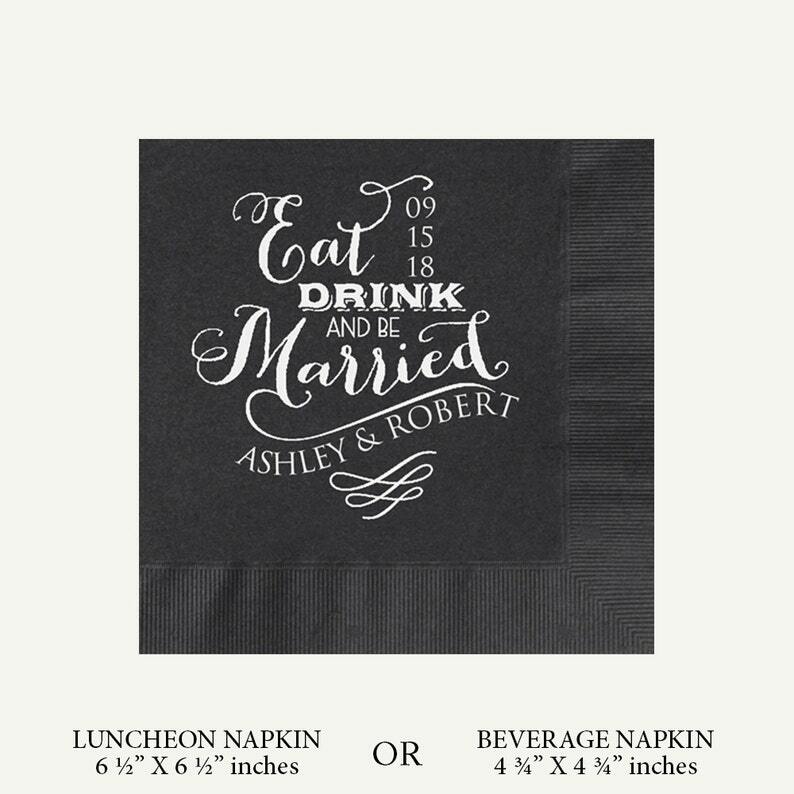 Our black beverage napkins are a great way to add a personal touch to your special day! Celebrate with your very own personalized paper beverage napkins. These paper cocktail napkins are personalized with the couples names and wedding date as shown in the image above.